TSI operates two regional offices in North Carolina that serve both the Greensboro Metro - Triad and the Raleigh Metro - Triangle Regions. 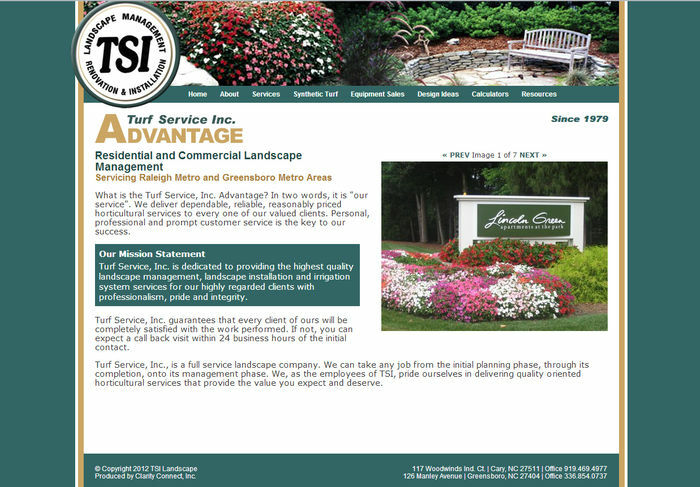 In 1979 when TSI opened its doors for business in Greensboro, it began as a sod installation and residential lawn care management company. Due to customer demand they branched out into irrigation installation and commercial landscape maintenance. 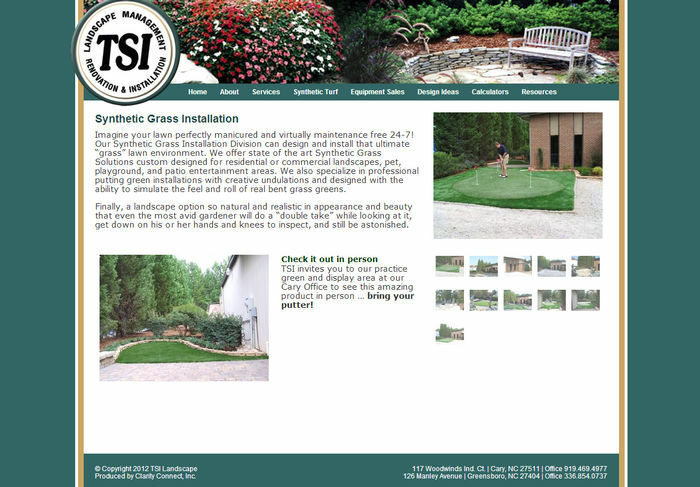 In 1986 we opened an office in Cary to serve the Raleigh Metro area which services also include landscape installation. 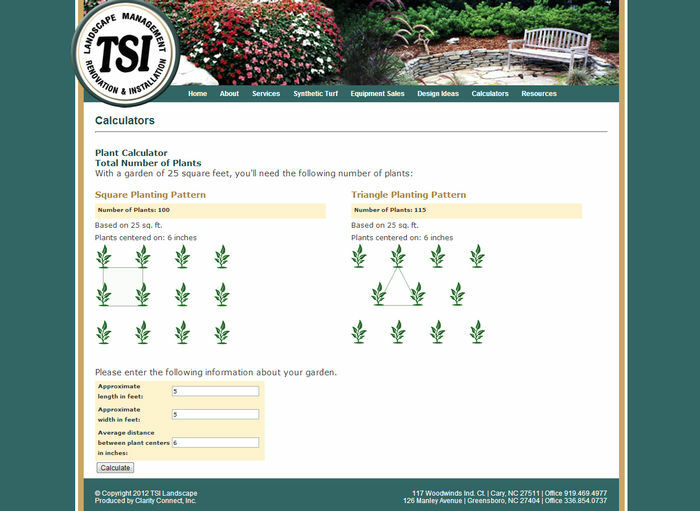 TSI is now a full service landscape company. The web page shown here is created by one of our Clarity Console tools,the Product Line Manager. They use the tool to add content (text and images) to regularly update the site and promote recently completed projects.